The scandal-hit Swiss fund group has lost three-quarters of its value in a year. Senior management’s bonus bill has nearly halved. A desire to hang onto staff in a crisis explains the relatively generous payoff. In asset management, shareholders bear more of the risks. 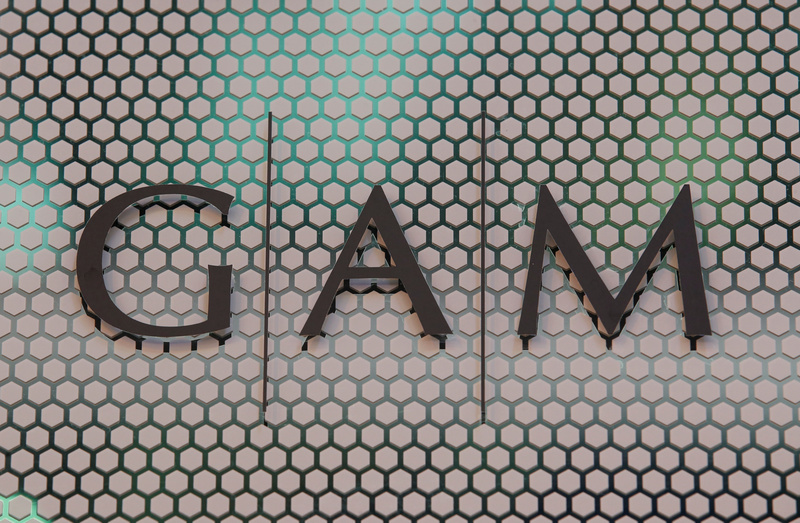 The logo of GAM investment management company is seen at its headquarters in Zurich, Switzerland October 24, 2018. GAM Holding said on Feb. 21 its investment management division had 56.1 billion Swiss francs ($56 billion) of assets under management at the end of December 2018, down from 84.4 billion Swiss francs a year earlier. The company made a 929.1 million franc net loss in the year, due to impairment charges. The company paid its group management board a total of 12.6 million Swiss francs, of which variable compensation was 5 million Swiss francs. That compares with 15.9 million Swiss francs in 2017, and 9.3 million Swiss francs in variable pay. Chief Executive David Jacob did not receive an annual bonus, nor did Chief Financial Officer Richard McNamara. GAM shares have fallen by nearly 80 percent since the start of 2018, after the group was forced to suspend senior investment manager Tim Haywood and wind down his fund, triggering outflows across other business lines.